D&V Philippines provides payroll solutions that can be customised depending on the requirements of your business. We started offering this service in 2014, when we began providing payroll services to Australian labour hire companies, processing payroll for roughly 2,000 employees per week. We consider payroll as a highly specialised function that requires proficiency in payroll processes and utmost attention to detail. Our goal is to eliminate the headaches from payroll processing so you can focus on more value-adding activities for your business. We have an in-house team of payroll specialists who have undergone in-depth training on Australia’s tax laws, employee benefits and deductibles, payment schemes, HR practices, and the entire payroll process. We use the latest payroll software to ensure that our processes are reliable, secure, and efficient. We have backup systems in place to make sure that your payroll requirements are fulfilled on time, every time. Choose to outsource your entire payroll process or just a part of it. We can handle the onboarding, pay cycle services, and the monthly and year-end requirements. We'll also take care of the lodgement of payment summaries and dispatching of payments to government agencies (payroll tax, PAYG, superannuation, child support, garnishee), and distribution of employee salaries. 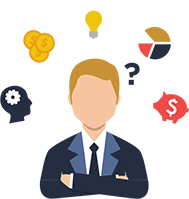 On the other hand, you may also choose to outsource only a part of the process; that is, calculation and deduction management as well as their corresponding reports. In this case, lodging paperwork and distributing payments will be your responsibility as an employer. Troubled with the complex challenges of Payroll Management? Download our eBook to learn more about the complete process of outsourcing your payroll, the D&V way.